Have you seen our Impossible Card shape video tutorial yet? This is a really fun make that you can decorate and embellish how you like – and though it might look impossible, this is actually a really simple card shape to recreate. 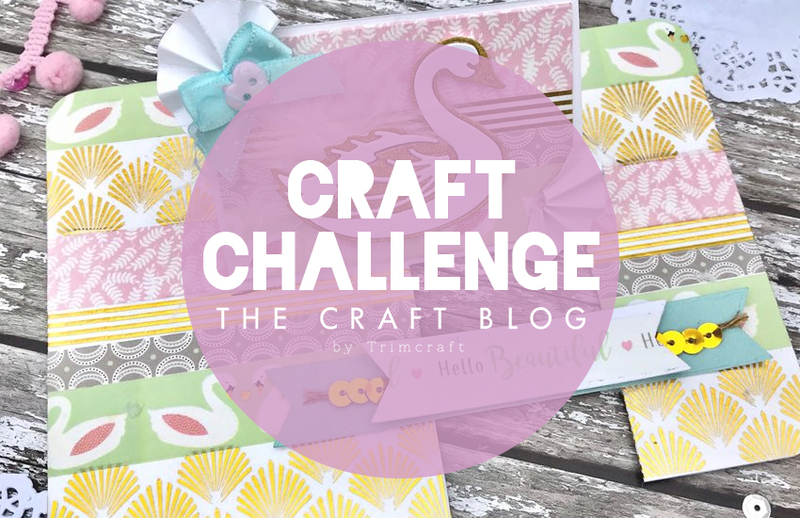 For the chance to win an amazing crafty prize, we’d love to see your versions of our Impossible Card for April’s Craft Challenge! All you need to do is watch our video tutorial below, create your own Impossible Card, and then upload it to the Inspiration area. Whether you add lots of embellishments or decorative papers, go for a specific theme or look, or you even want to add your own twist to this card shape – we would love to see! To enter, simply upload your finished project to the Inspiration area and add ‘TC – Impossible Card’ to the title of your submission so we can see it clearly when we come to pick the winner. You can also enter as many times as you’d like, so why not try lots of different designs? We will pick out our favourite projects and announce the winner at the beginning of May. How are you going to customise your Impossible Card? You have until April 30th to enter - we really can’t wait to see your entries! Good luck. I made one of these this morning and I was really surprised at how easy it was.